And now you, dear Caddo, have blessed me. Thank you! I meant to tell you that I also love the grapes–wow, sumptuous!! I saw them hanging over someone’s fence in the back lane. And I never touched a one. Honest. Oh what a saint you are!! That’s the nice thing about the blogs–we generally put our best foot forward! But God says we’re all saints–walking in grace, being transformed from glory to glory. That’s worth a Hallelujah, Amen!! Or in modern vernacular: Wow, OMG! Like! gorgeous sis! Outstanding lyrics ! 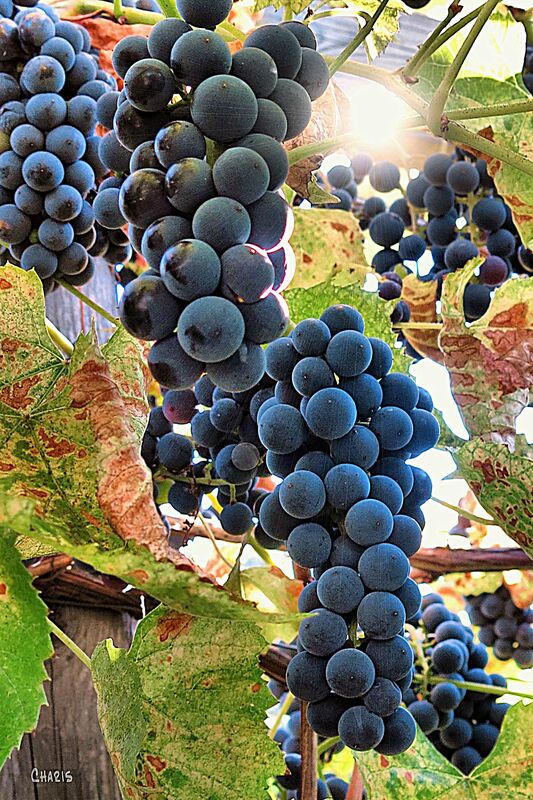 The photo captures the grapes texture so well! Wow! I love it!